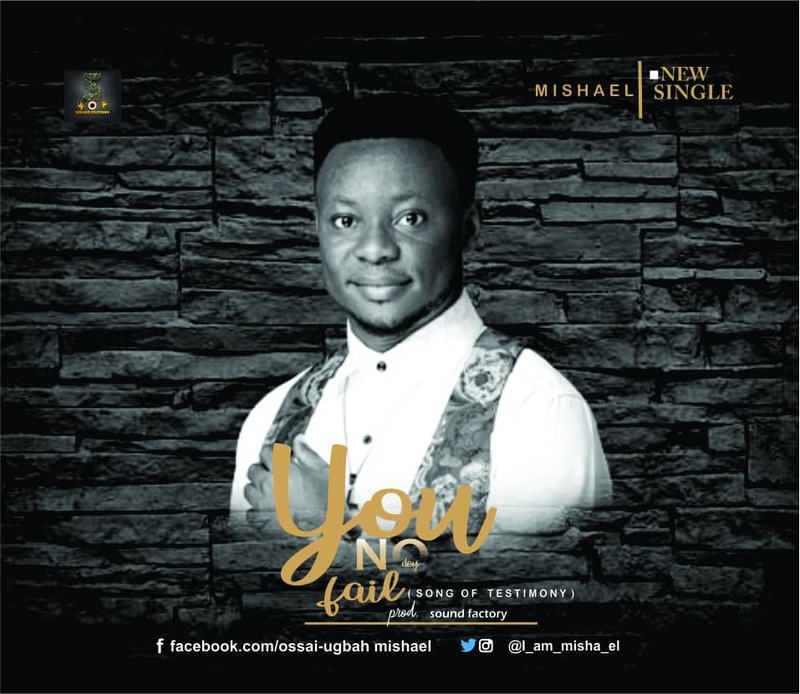 Gospel Music Minster and Legal Practitioner, Ossai-Ugbah Mishael simply known as Mishael has released a brand new single titled ''You Nor Dey Fail''. According to Mishael, ''You Nor Dey Fail'' is a song of testimony, which was written way back in 2015, when I remembered what God did for me, all the mercies I didn't deserve especially the manner at which He saw me through the University years back when I was at the verge of expulsion. It's a song that testifies to the benevolence of our Lord and to celebrate His never failing character''. Mishael is a lawyer who has a call in the music ministry to ensure that all Nations come together in Worship and in the knowledge of Christ..